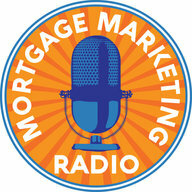 Dan Keller is a Modern Mortgage Originator. 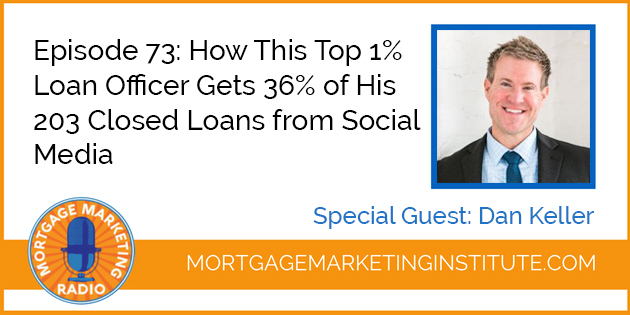 On this episode of Mortgage Marketing Radio, he reveals his social savvy methods for using video to build his online brand and get closed loans from social media at no cost. Last year Dan closed 203 loans with 36% of those closed loans coming directly from his Social Media channels at absolutely ZERO cost! Dan has built a strong brand online through his weekly video content, Podcast and YouTube channel, Facebook advertising and more. He’s also tapped into his local Agents through educational classes and Beers and Homebuying classes that position him as a thought leader, creating profitable relationships and referrals. We unpack how Dan leverages Facebook ads to target the top 500 real estate agents in his local area, how he builds his brand using Facebook to do that, so when he calls those targeted agents, it’s no longer a cold call. It’s a warm call. Brilliant! 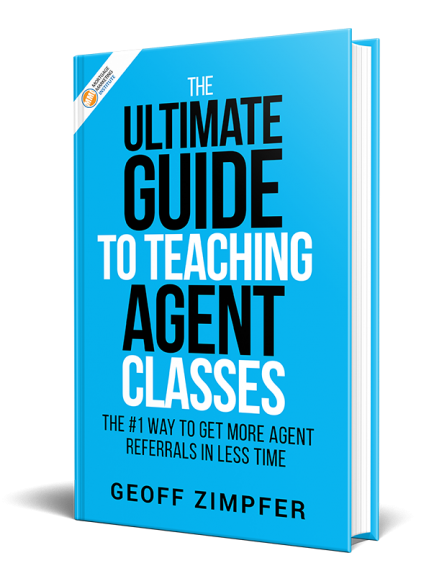 >> How to Do “Pop-By’s” that Agents Love! >> How to Get Smart With Social Media – and Get Results!